To say that I am stretched thin would be an understatement. I’ll spare you the details, because quite frankly, I bet they sound a lot like yours. We are all busy. We all have too much on our plates. Remember Mario? 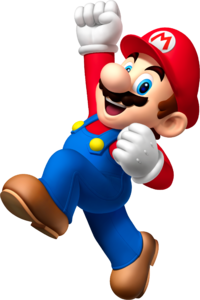 The classic Nintendo character in the red hat and blue overalls? Remember how he would run, run, run his little legs off? Did you ever stop playing the game to give Mario a break? You probably did – only to watch that merciless game scene continue to push him along until you either reached the next level or he met his fate over the edge of a nearby cliff. I see that nearby cliff. I’m pushing back on the scenery of life begging for a break. I’m digging my heels in trying to make it slow down. I’m begging the one who holds the controls to push pause. Life is relentless and it will not let up. So what then? How do we find peace? I can’t hit pause. The minutes on the clock will keep ticking by and they are not going to slow down just because I feel stressed. I can’t reset the clock, but I can reset my mind. Isaiah promises that if I “SET my mind on Him, He will keep me whole”. That cliff already has a bridge that I can’t see yet, because He has already provided me a way over it. I just need to keep my mind set on His truth… because He is a sure thing! This does not hold true for us. We can be lost or found, but we can not be lost and found. The reason for this? We are one or the other in God’s eyes. Not both. This can be a concept that’s hard to grasp. We are born lost. When we submit our lives to the Holy Spirit, we make the transition from “lost” to “found.” It’s a very big deal to feel the love and grace God has for us. Once we are found, we are returned to our rightful owner – our Master, our Creator. Last year, my oldest daughter, Madison, lost her 6th grade yearbook. She searched everywhere for it. All over the house, under her bed, in her locker… but it was nowhere to be found. It was given up for lost and gone forever. Months later, a classmate struck up a conversation with her. When Madison introduced herself, the young girl asked, “Are you Madison Campbell?” It turns out she knew where Madison’s yearbook was. It had been found and placed in the school’s drama closet. ( I know, weird right?) Madison and her yearbook were reunited. When we are “found” and reunited with God, the jubilation experienced is 1,000 times more than the pleasure Madison experienced with locating the “lost forever” item – although she was pretty excited about that yearbook. Too many times have I recently counseled young people who are “lost.” The ironic part is, they were in fact never lost by the Spirit. They have just not found their way to him yet. It’s okay. The Holy Spirit is patient. As a whole, we are not too dissimilar to the lost yearbook. Once we find our way back to our creator (aka our “owner”), it is a relationship we cherish and want to hold close. 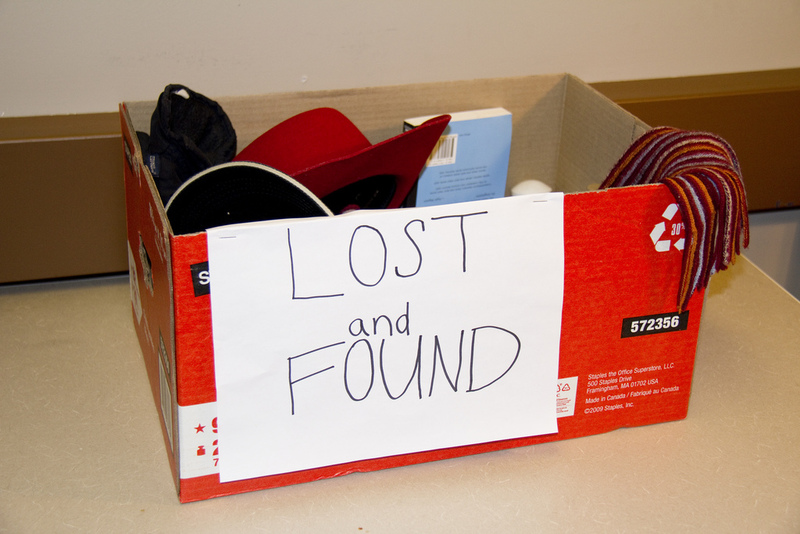 Are you one of the lost items in the box waiting to be “found?” If so, I encourage you to seek out the Holy Spirit and allow him to dwell with in you. The Spirit lives in us and through us – all you have to do is ask. Or have you come across someone who is lost in need of being found? 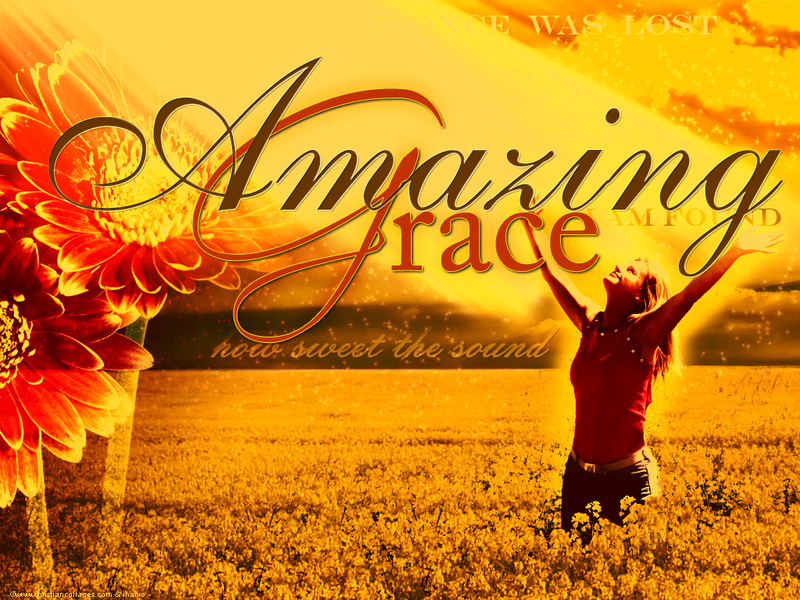 Take the necessary step to help them be claimed so they may experience God’s amazing grace! Yeah, I see now. I see with crystal-clear clarity. I’m found. *Call to Action: If you feel a little “lost” and would like to speak confidentially about where you are in your walk with God versus where you want to be, please contact myself, Erica Pearson or Tabitha Taylor (emails are above each post we have authored). Each of us love to have “God-talk” and do it on a much more regular basis than you may think! 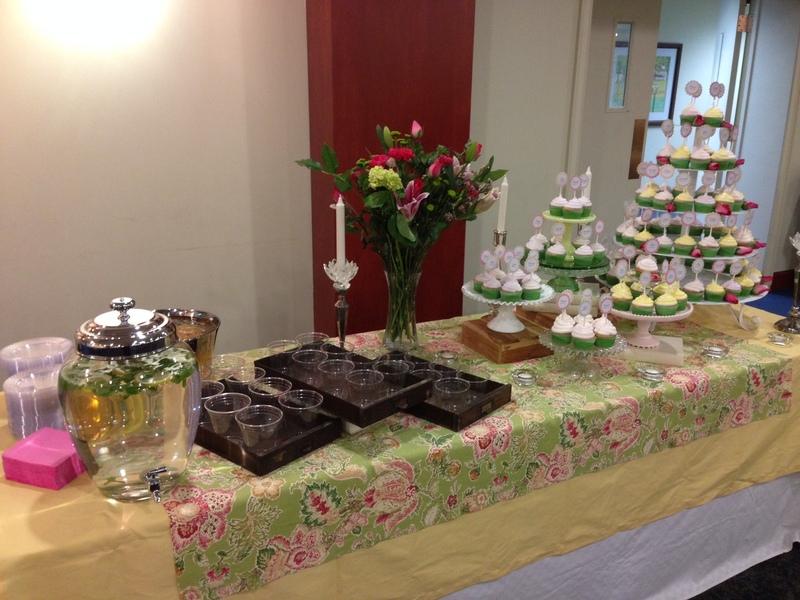 Easter Edition – Crucify the Bunny! Imagine a cute, fluffy bunny strung out on a wood stake with little thorns pounded in his little bunny paws. Other bunnies are spitting on him and mocking him. They made a crown from a briar patch and placed it on his little head. You got that running through your mind? Okay, so my post title is a little strong and the example is somewhat silly, if not disturbing. It more than likely got your attention, though. There’s always a danger in having a sensational, over-the-top, attention-getting title like this for a post, but I think it keeps in message with my theme here. Read on, and you’ll understand where I’m going with this. For each of the two major religious holidays, I see people swept up in the commercialization of it all rather than the true intent. It’s not just them either, it’s me too. Friend, let me tell you – Jesus is the reason for the season – whether Christmas or Easter! Now, I’m no Scrooge, bunny-basher or egg beater. I love the holiday fun and festivities, just not at the expense of putting it before what is more important. Each of these verses have a similarity to them. “To give his life as a ransom for many.” “As a sacrifice to forgive the sins of many.” “My righteous servant will make it possible for many to be counted righteous, for he will bear all their sins.” That’s right. Jesus was crucified for the many, not the few. Crucifixion was a brutal form of death. It was demeaning and was used to deter others from committing the same “crime.” Jesus subsequently went through what he did knowing he would be satisfied with the results – the salvation of many. 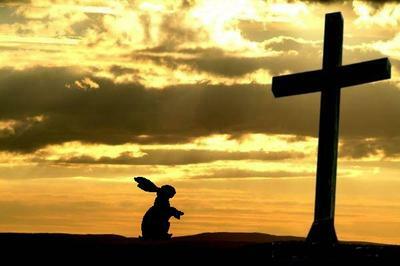 Jesus did this, not the Easter Bunny. He was the one who was crucified, died, buried, descended into hell, and rose on the third day only to ascend into heaven and sit at the right hand of the Father – for us all! So, to come full-circle with the point I started – the bunny didn’t do any of this. For all the hoopla the bunny gets – pastel eggs, fake plastic grass, Cadbury chocolates and Peeps in the basket – where’s the marketable love for Jesus? 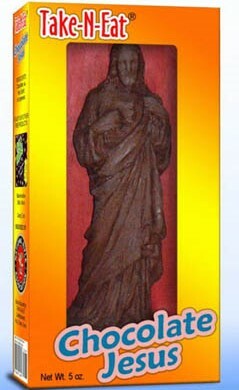 You don’t commonly see a chocolate Jesus in kid’s Easter baskets… Anyway, let’s not crucify the bunny, but rather kill where we place a greater effort on this holy of holidays. Let’s celebrate our Savior. Keep in mind what Jesus did for us all the time, not just in Sunday service. With that said, Happy Easter everyone! It was simply delightful to find every single twist and turn laid out before me. An added advantage was even finding a detour to my favorite coffee shop if I so desired. How much easier would life be if I knew exactly where He was taking me? How much simpler would life be if I could easily see all the bumps, dips, and road blocks? 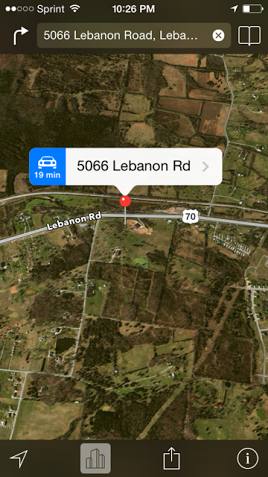 How amazing would it be if I could see exactly when I took a wrong turn and could hear Him recalculating my path? 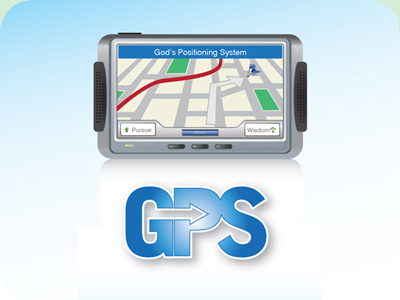 On my way home I began to understand why God, in fact, does not use GPS with us. You see, on the way to my destination I was so focused on the road and my “next turn”, I neglected to observe my surroundings. I was following the directions, but my mind was not engaged. There was absolutely no opportunity for any judgment call, choice, or interpretation on my part. Simply put, I was mindlessly listening to turn-by-turn instructions. The beauty of our relationship with God is in the fact that He gives us choice and opportunity to think for ourselves. While at times we resent this fact, it’s with this opportunity we see Him work. If we did not have bumps in the road, when would we turn to Him? If we never had to question our route, when would we ask Him for direction? 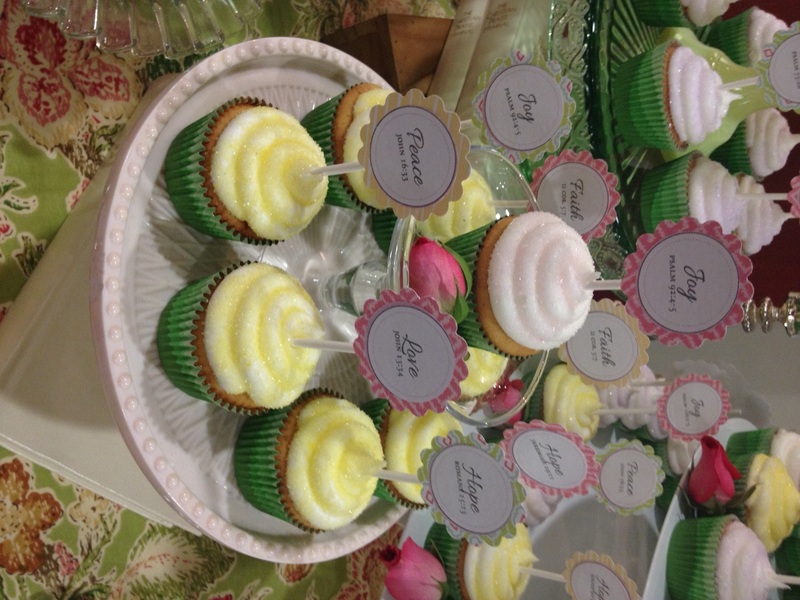 “Don’t sweat the small stuff”…but what if the small stuff is a cupcake? I’m an epic worrier. I know I shouldn’t be. I know I need to give all my worries to God but since I’m human… I worry on! I realize there are many “small things” in life I should not spin my wheels worrying about, but after a recent event, I found myself realizing there actually are times to sweat the small stuff. As the hostess team sponsoring the event, we were asked to provide a plastic, white tablecloth and a plain, white sheet cake to feed 100. While there is nothing wrong with these items, my friend Trish and I, got worried. We worried the women would not feel celebrated, we worried about the décor and we worried about the women feeling empowered and encouraged as they transitioned out of this amazing program. There was prep to be done! As the ceremony began, I opened the room in prayer. It was one of those moments when you knew the Lord was present. The room was still as both the graduates and audience latched onto every word of encouragement and drop of hope we could pour into them. What happened next, brings me to tears even as I type. After I spoke, my friend Jessica delivered an amazing speech on hope. She then told the graduates they had a gift from me. You see, I had also worried they, while transitioning, may not have the strength and encouragement they had been receiving daily while living at TND. We knew they could get all the encouragement they needed from the Lord – but what would hold them accountable? I presented them with a very special Bible. The Bibles had been prayed over and, as a team, we stuck post-it notes in them, marking our favorite verses on hope and encouragement. The next thing I said came as another emotional moment I will never forget. Upon telling them their names were inscribed on the front cover, there was a collective gasp from everyone in the room. They couldn’t believe it! Why would a group of complete strangers love and care about them enough to take time to worry about something so small? Their roads have been tough – they each have heavy burdens, scars and memories they will spend the rest of their lives trying to shake. I can’t even begin to comprehend where they have been. But in that one moment, I know they were honored. You could tell by their tears of gratitude and big smiles how special they felt. That was all we wanted! We wanted them to know how much the Lord loves them and we do too! Psalm 37:23 tells us “…He delights in every detail of their lives.” If God delights in the details, shouldn’t we? Sometimes those details may be the “small stuff” many of us neglect spending time worrying about. It may seem silly, but worrying about a plastic white tablecloth and a plain white sheet cake brought me to a life-changing moment. 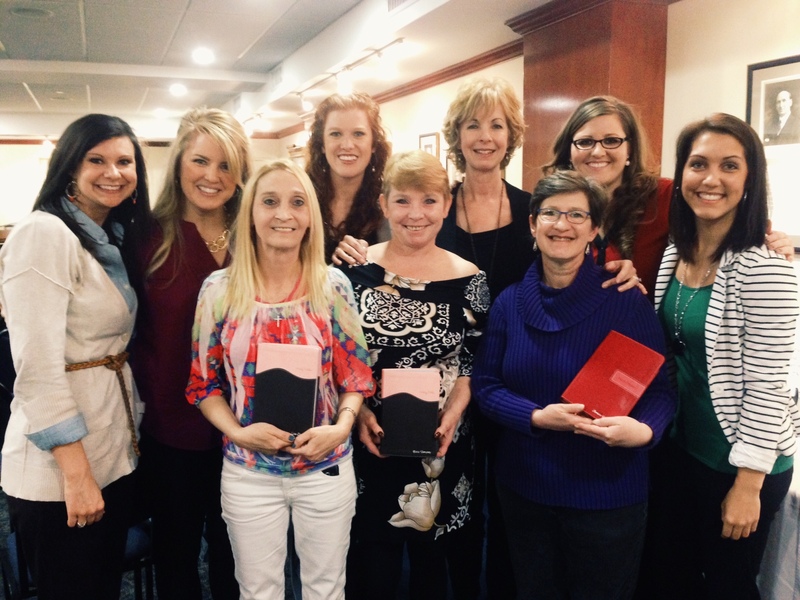 What an honor to serve and an even greater honor to witness God’s transforming power in the lives of the women we met! What we did wasn’t monumental. It didn’t take much from us – some time and a few dollars, but it was a MASSIVE example of love to them. They felt like celebrities, and rightfully so. They deserved to be honored for all they have accomplished! Has there been a time in your life when maybe you didn’t worry about something or someone as much as you should have? When you didn’t act on that little nudge God was giving you to step in and do something? Pay attention for those moments. I feel certain He will give us all something “small” to worry about for his glory. In our case, it started with a cupcake! You ever feel like you sometimes become a different person, perhaps to relate to others? That you bend who you are to suit the person or group you’re with? Like a chameleon, changing who you are in front of others – even if just ever-so-slightly? You’re either genuine in your interactions with others or you’re not. Chameleons come in many colors – all dependent on their environment. Either way though, they change their colors. They do it to blend in. It’s one of God’s awesome creations. Don’t we metaphorically do the same thing? While they may do it for survival, we tend to do it for ourselves in one of two ways. “What people think of me” is a very powerful motivator. It is still shaping us more than we’d like to admit. It shapes our theology, our politics, our values. I spent time today with a young man in the music industry; why did I use the term “dude” more than I usually do? Before that, I was speaking with a woman in ministry; I never used the term “dude,” but I did talk about “the Lord” a good bit. I feel like a chameleon. I “adapt” myself to the social foliage around me. Eldredge talks about the first of what I would identify as two types of chameleons – those who adapt to relate in order to have them like you. Eldredge owned up to doing this, and I will too – because I’m also guilty. But there’s another type of chameleon we can find ourselves being. At Southwestern Advantage (my workplace), our Director of Leadership Development, Lee McCroskey, has a training session called “Becoming a Chameleon.” Being a sales-based company, you can understand why we would train our independent sales force to sell to people the way they want to be sold. This makes perfect sense in the world of sales because you must establish a rapport that leads to trust. What this means is their behavior, attitude and emotions are identified and, in turn, somewhat mirrored or matched. People feel more comfortable buying from people like them or in the same emotional state as they are. 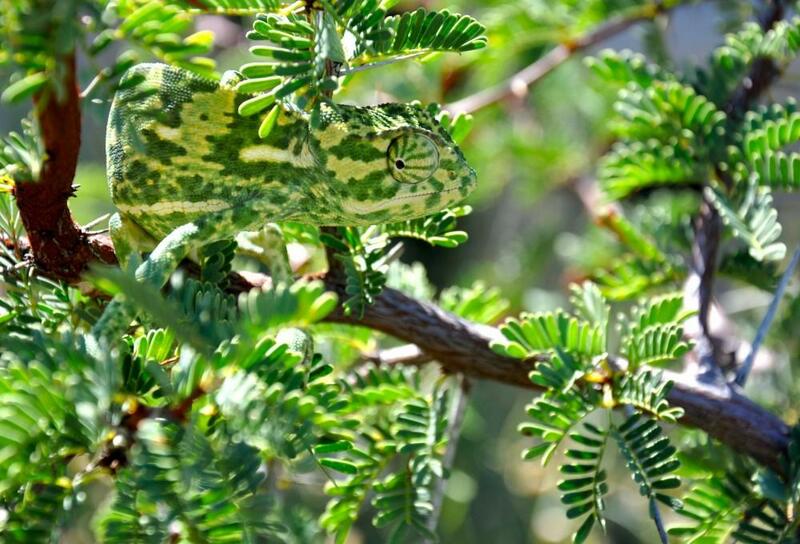 This is adapting to the sales environment (like a chameleon adapts to its surroundings…). I use to struggle with being a “chameleon,” believing I was not being myself. But then I realized: I’m not putting on a false front. Just like a chameleon changes with surroundings, I change with time and the situation. We all do. My goal each day is to relate, understand, show empathy, and share commonalities with each audience I address. The only reason I’m grounded as much as I may be in the colors I front, is because both at the beginning and end of the day, I give it all up to Jesus. When I sway, he steadies me. When I fall, he catches me. When I sin, he forgives me. And when I change my colors, I trust he will have the right colors for me. Keep in mind Paul admitted to being a chameleon – as noted in 1 Corinthians 9:19-22 (below). Notice how he adapted to the people he was with in order to share Christ. As a Roman citizen, he chose to live differently in the presence of others. Even though I am a free man with no master, I have become a slave to all people to bring many to Christ. When I was with the Jews, I lived like a Jew to bring the Jews to Christ. When I was with those who follow the Jewish law, I too lived under that law. Even though I am not subject to the law, I did this to bring Christ to those who are under the law. When I am with the Gentiles who do not follow the Jewish law, I too live apart from that law so I can bring them to Christ. But I do not ignore the law of God; I obey the law of Christ. When I am with those who are weak, I share their weakness, for I want to bring the weak to Christ. Yes, I try to find common ground with everyone, doing everything I can to save some. Yes, just like James Eldredge, I adapt to the “social foliage” around me. While it often comes with the territory of my career, I will tell you this: While I may bend who I am, I don’t break – just like Paul! And that’s because I have a Savior who has saved me! Be who you are – the person God made you to be. If you change your colors, do it because you are growing into new colors, not to camouflage the real you God made in his image.